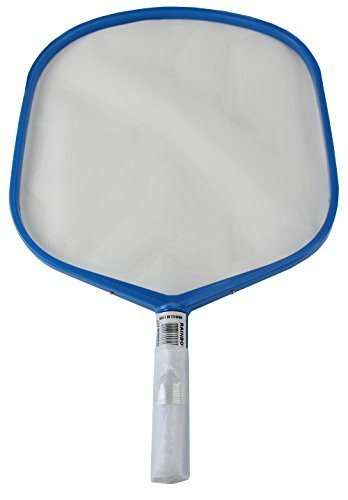 Molded frame skimmer and available in blue color. Comes with reinforced aluminum handle. Snap-adapt handles allow for use with most poles. Heavy-duty reversible nets stand up to tough wear. Measures 24-1/2-inch length by 29/50-inch height by 1-1/4-inch width. If you have any questions about this product by Pentair, contact us by completing and submitting the form below. If you are looking for a specif part number, please include it with your message.